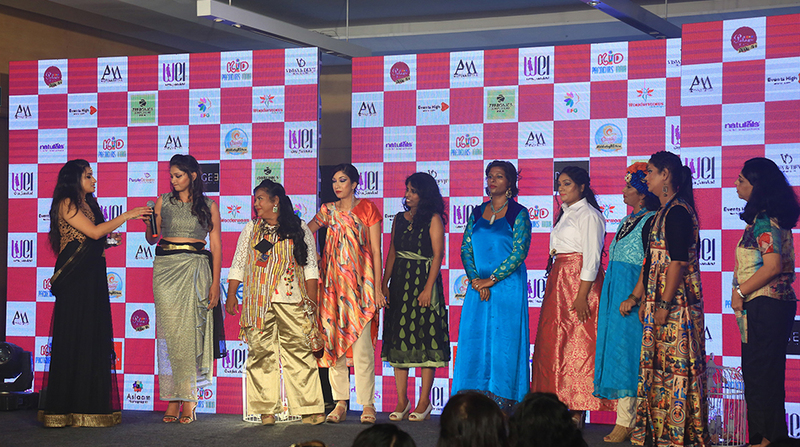 A FASHION SHOW WITH A DIFFERENCE – A CURATED EVENT WITH REAL WOMEN ENTREPRENEURS-BOTH RURAL & URBAN. Join us to celebrate inspiring Women in Business on 19th November,2019. Venue TBD. 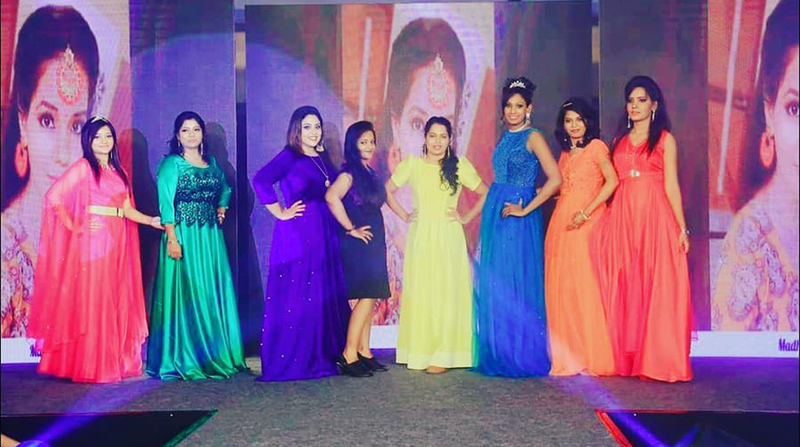 A fashion show with a difference where real women in business walked the ramp, was organized last year, with great pomp and glory. We are glad to share with you that Women Entrepreneurs India hosts the second edition of “WEI-Fa” now called "WEI-FaDa, 2019" on 19th November,to commemorate the international Women's Entrepreneurship Day. Internationally, this day is celebrated as WED, a global movement to support and celebrate women entrepreneurs. "WEI-FaDa 2019" will feature workshops, conferences, exhibition, fashion show and many other associated events that celebrate women entrepreneurship. Women Entrepreneurs have done it again. High on energy and deep in spirit, the rural and urban women take the centre stage. 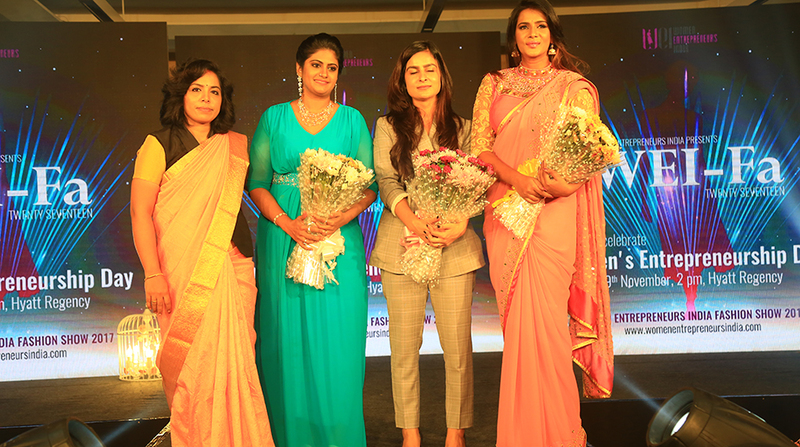 Women Entrepreneurs India engages the striking enthusiasm of women entrepreneurs by giving them a platform to perform – literally, as they walk the ramp with elegance.A Fashion Show and a Competition – The women entrepreneurs walk the ramp to compete. Along with an insightful conference, WEI is also organizing various challenges like ‘Beauty Queen’, Bake – a – preneur, and other interesting events to engage the women. Women can pitch in their unique business ideas and the winning idea could win amazing cash prizes, to support their future dreams. 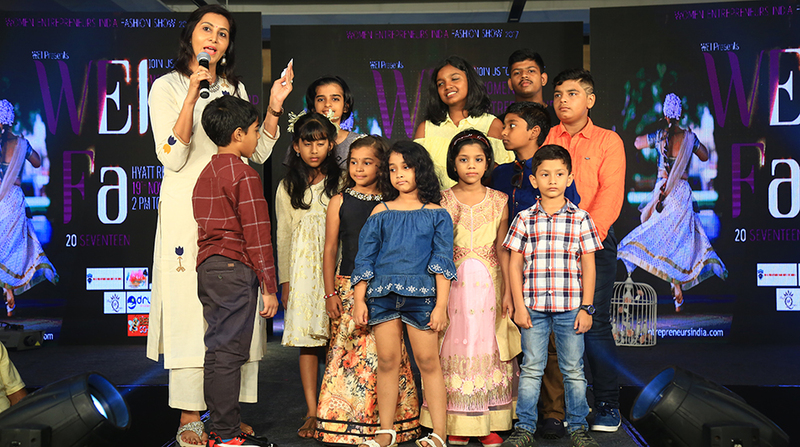 A Fashion Show and a Competition – A day full of mesmerizing events is definitely not complete without a fashion show. Brace yourself for a scintillating evening of glitz and glamour, where rural and urban women entrepreneurs walk the ramp showcasing exquisite products and services offered by their fellow entrepreneurs. Celebrating entrepreneurship by women in both urban and rural India, offering them various opportunities and connects, along with encouraging their efforts. A series of knowledge workshops and demos to help women through their entrepreneurial ventures. Competitions and challenges to keep women connect and bond, as they learn. A model(rural/urban entrepreneur) and the make-up artist/fashion designer/jewellery designer as a team will showcase their skills. They can choose their own themes. Contestants should choose the category eg. Jewellery, Make-up,Fashion etc. while registering for the event. This event is open to WEI members only. One slot for each member. No member can take part in two or more performances. We hope to give fashion a new meaning through the professionalism and panache of real women entrepreneurs. As a sponsor for this unique and eventful fashion show featuring real women, we hope to engage you in empowering and supporting these budding entrepreneurs. We hope to entice you into being a part of this mesmerizing event and inspire them to participate and achieve greater heights. We ensure your brand to be highlighted on all our promotional platforms and among more than 1000+ guests, for an event that is spread over a day. This event will also have the support of various members of Women Entrepreneurs India and their numerous supporters. Join us to celebrate inspiring Women in Business on 19th November,2019. Venue:TBDGrab gift vouchers and goodies at this mega fashion event exclusively for entrepreneurs. Register now and get a chance to win exciting prizes through a lucky draw! 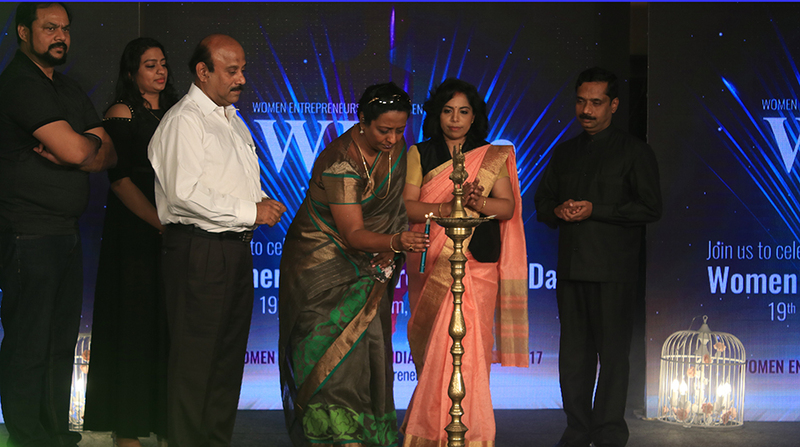 Women Entrepreneurs India has been a pioneer in supporting women entrepreneurs in all their endeavours. 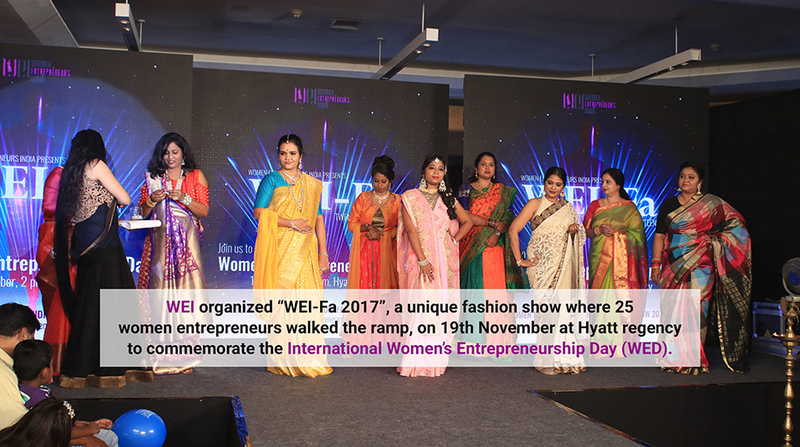 WEI educates, empowers, supports, and motivates emerging women entrepreneurs all over India by providing them with the right opportunities and avenues through various events. We empower them with innovative business ideas, support them with marketing avenues, provide mentor connects and facilitate start-up funding opportunities.